R&B lovers, get ready for the fourth annual V103 Summer Block Party at the Huntington Bank Pavilion at Northerly Island!! The first of Huntington Bank’s Block Party events will feature performances from Keith Sweat, Ne-Yo, Ja Rule, Ashanti and Tank – NO R&B fan can afford to miss it!! It’s all happening live Saturday 14th July 2018 – get your tickets NOW for your chance to be there! 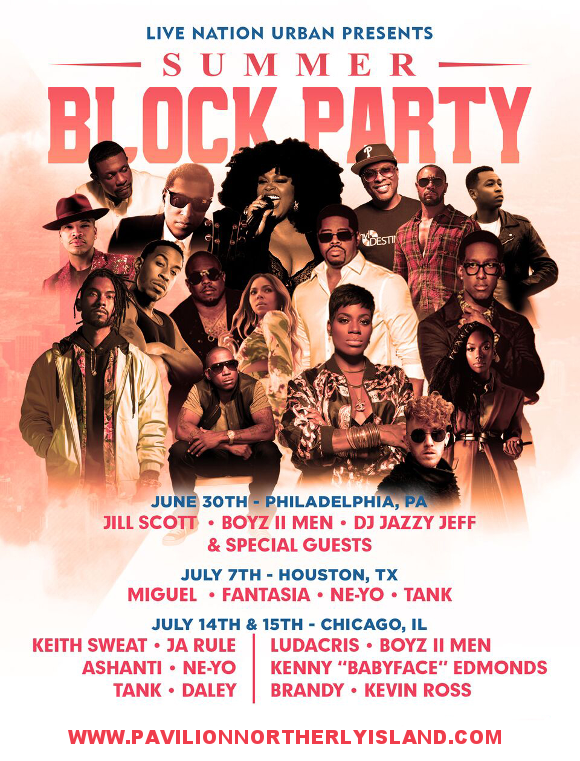 The festival includes a series of four dates across Chicago, Philadelphia, and Houston, with massive headlining names including Jill Scott, Miguel, Ludacris and Keith Sweat!! The Saturday July 14th’s line-up includes Keith Sweat, Ne-Yo, Ja Rule, Ashanti and Tank. Don’t miss your chance to be part of the hottest R&B event of the summer – get your tickets to the V103 Summer Block Party NOW while you can! !